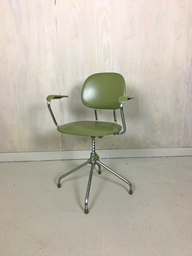 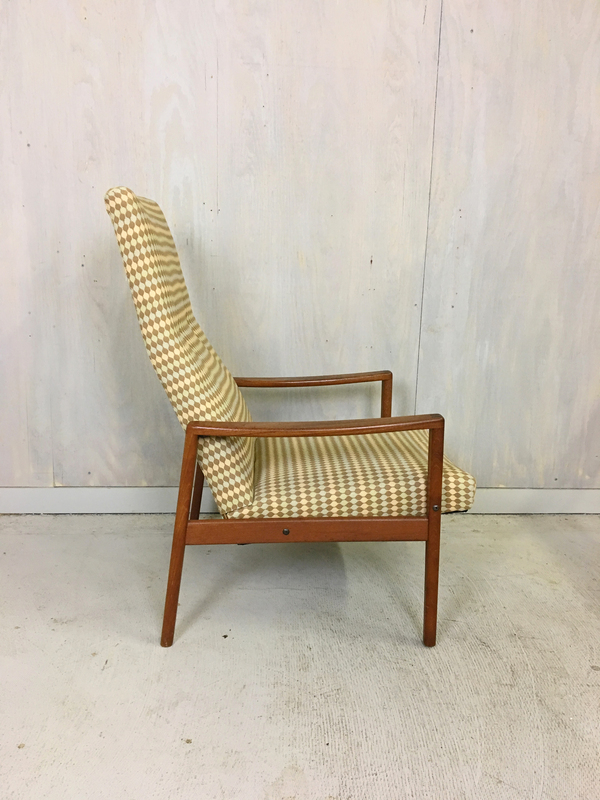 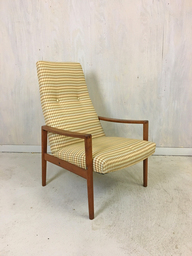 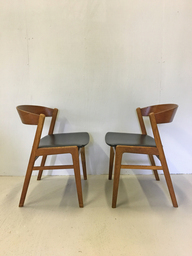 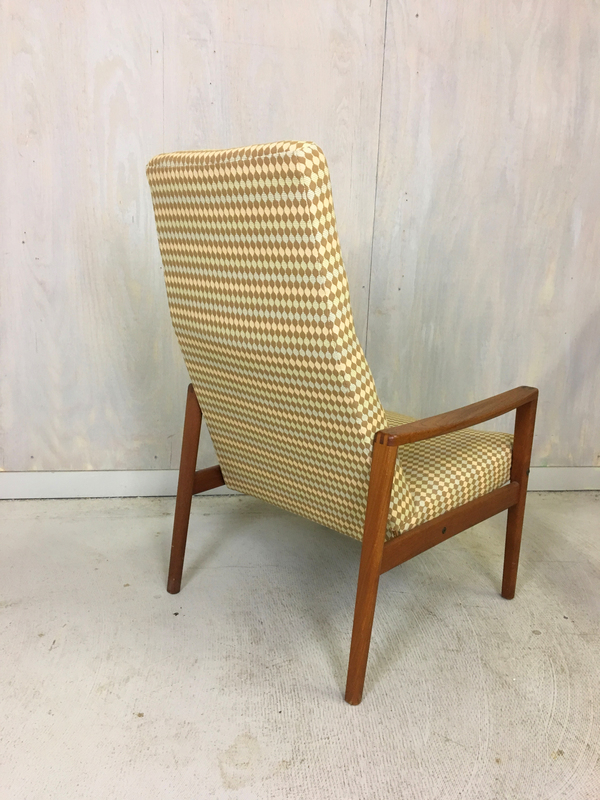 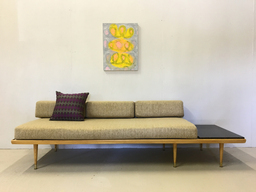 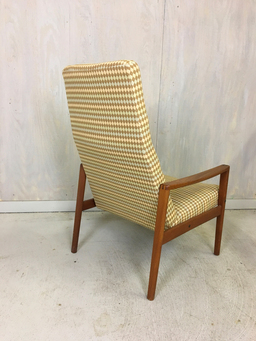 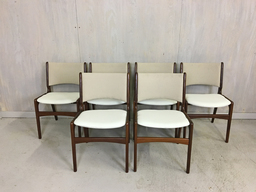 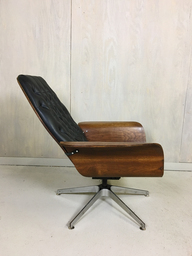 Manufactured in Sweden for Ulferts Fabriker circa 1960s, this high-backed lounge chair has a great look. 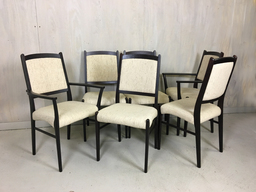 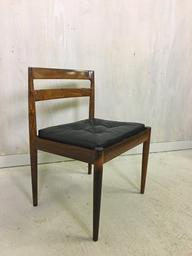 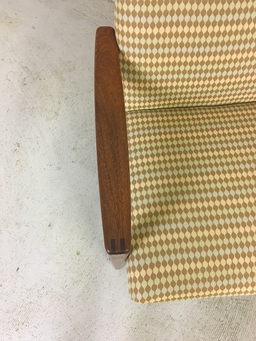 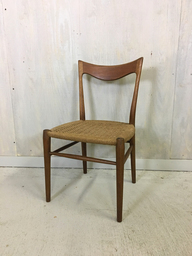 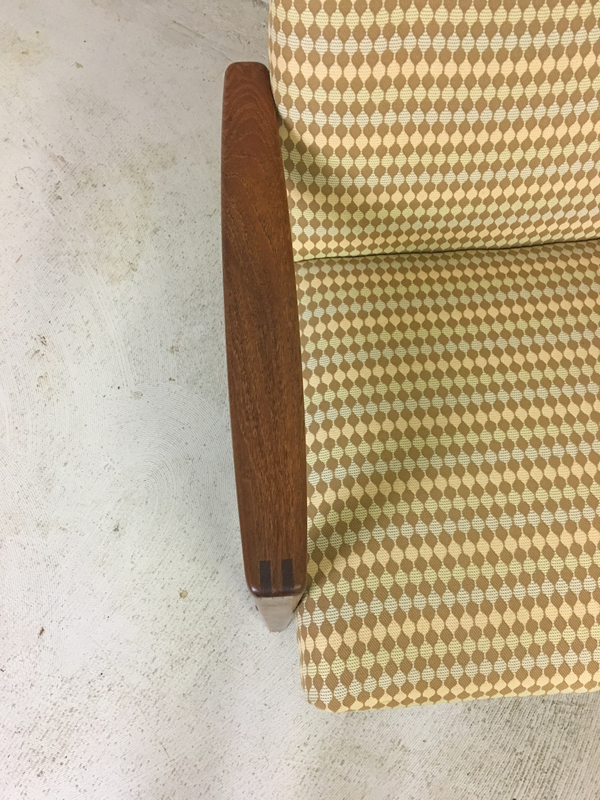 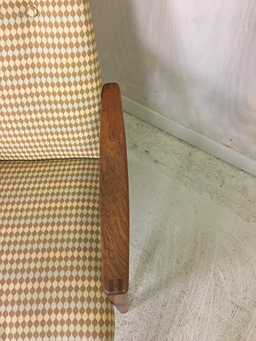 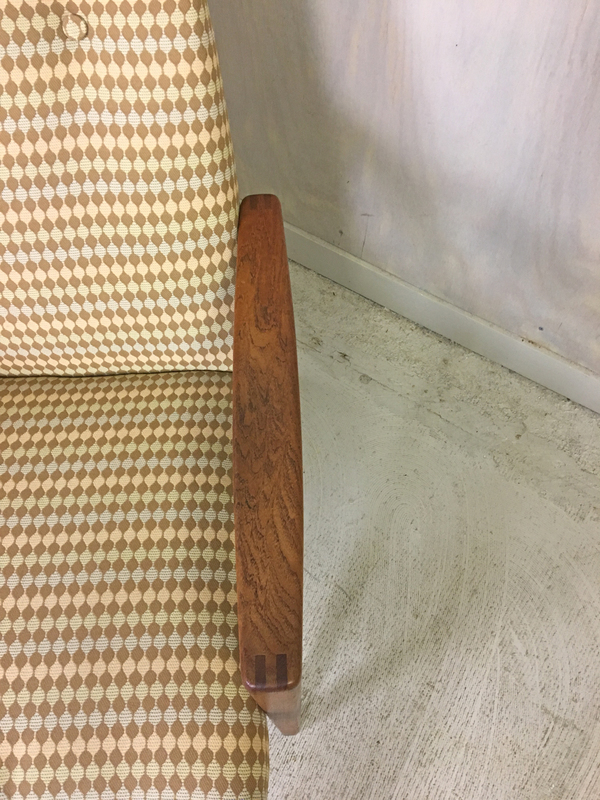 Previously reupholstered, the fabric is in near perfect condition with no discoloration. 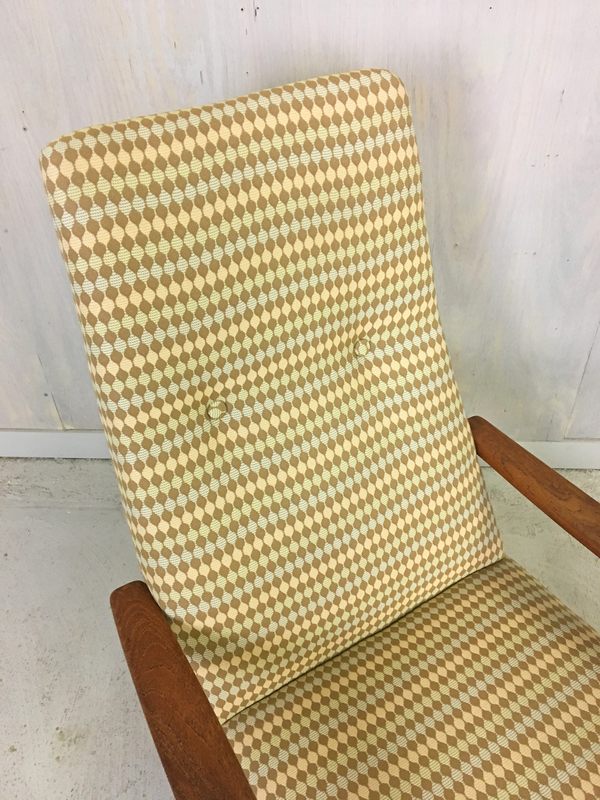 The fabric is a mid century pattern with peach, brown, light blue and green tones. 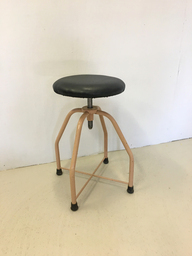 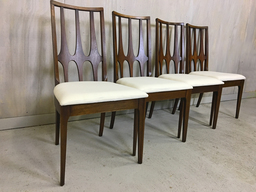 The teak frame and arms are in excellent condition and structurally sound.